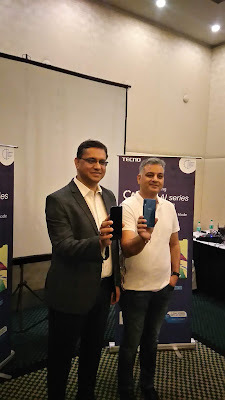 TECNO Mobile, the premium smartphone brand from TRANSSION India is set to double the festive excitement of TECNO fans as the brand announces its first flagship ‘CAMON iCLICK2’ in India. 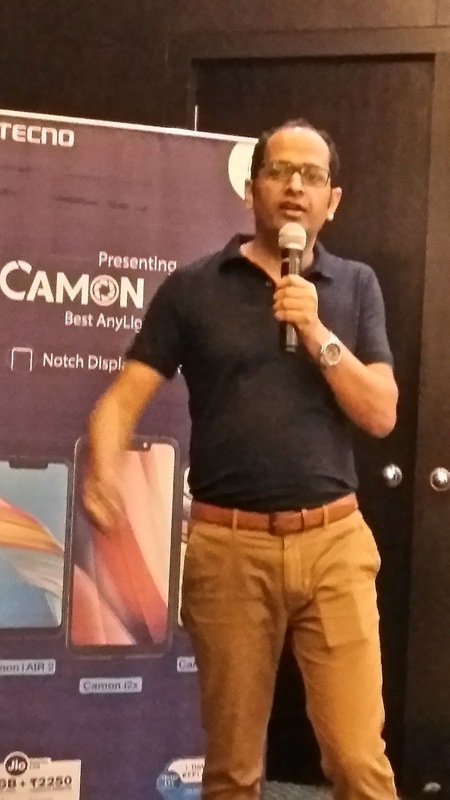 The flagship smart phone was unveied at Bangalore and flaunts many features which will change the game in the sub 14K segment such as 6.2” HD+ screen, 19:9 Super Full View notch display, 24MP AI selfie, 13+5MP Dual rear AI camera, Dual SIM, Dual VoLTE (4G+4G), 3750mAh and AI Face Unlock. 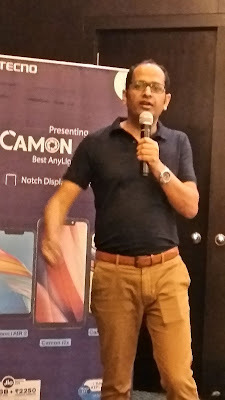 The launch follows an efficacious launch of new CAMON AI series consisting of 3 smartphones last week. With a promise to provide an exceptional photography experience, CAMON iCLICK2 priced at Rs 13,499 is the perfect smartphone for people who love to live in the moment. The smartphone is available in three trendy colours of Aqua Blue, Hawaii Blue (Gradient) and Midnight black. The flagship goes on sale this week and will be available across 35000+ offline retail stores. The new range of TECNO CAMON AI series consist of 4 smartphones – CAMON iAir2+ priced @8999, CAMON i2 @10499, CAMON i2X @12499 & CAMON iCLICK2 @ 13499. If selfies tickle your fancy, this is surely your gadget to go by. CAMON comes with 24MP selfie camera with large 1.8um pixel, f/2.0 aperture and front flash for stunning selfies. Furthermore, iCLICK2 comes with further optimized AI beauty algorithm that scans up to 298 facial points to create a more natural and beautiful selfie for you no matter what kind of scenes and light conditions you are in. Its front camera is also equipped with AI Bokeh mode. The fun doesn’t stop here the CAMON iCLICK2 is packed with an integration of 13MP primary camera with a larger aperture of F/1.8 capable of capturing outstanding details in every shot. Whereas 5MP secondary camera captures the depth of field. The advanced AI based Auto Scene Detection (ASD) feature enhances overall photography experience in outdoor scenario. When taking pictures, the smartphone automatically detects the scene details like lighting condition, brightness etc. and with the help of its deep learning algorithm based on 100000 Indian profile pictures, it intelligently matches the best camera parameters to the current scene, producing a perfect photo. It also comes with AI Bokeh and Super Pixel mode for high quality photography. * Another aspect of CAMON iCLICK2 that catches the eyes is its 6.2” HD+ Super Full view notch display. It’s large screen size with 88% screen to body ratio gives more screen space that allows users to see more. In landscape mode watching movies, TV shows, and games becomes much more engaging. Powered by a 2.0GHz Octa-Core Helio P22 processor with latest Android Oreo 8.1 operating system and customized HiOS 4.1 user interface is snappy and runs efficiently without any lag. The smartphone comes with 4GB + 64GB RAM/ROM with 3-in-1 card slot wherein you can put Dual Nano SIMs along with a dedicated SD card which is expandable up to 128GB. The devices also bring Dual SIM, Dual VoLTE solution wherein consumers can enjoy 4G VoLTE services on both SIM simultaneously. To enhance the device security system, it comes with superfast Fingerprint sensor which unlocks the device in half a second as well as AI Face unlock which recognizes the 1024 facial points. * CAMON iCLICK2 comes with a massive 3750mAh battery capacity which empowers users to stream content without interruption. Once fully charged the users can enjoy 2-day battery life on a single charge. Moreover, the battery comes with AI power management which tracks the consumer usage pattern of the smartphone and optimizes the battery life according to the usage. Extending more power in the hands of customers, all TECNO smartphones comes with a unique promise of “111” under which it offers 1-time screen replacement in one year, 100 days’ free replacement, and 1-month extended warranty on all three devices. TECNO will be present across 7000+ retail touchpoints and 45+ service touchpoints in the state. All buyers of the new range of TECNO phones will be entitled to 50 GB Jio 4G Data & additional benefits of Rs. 2250.